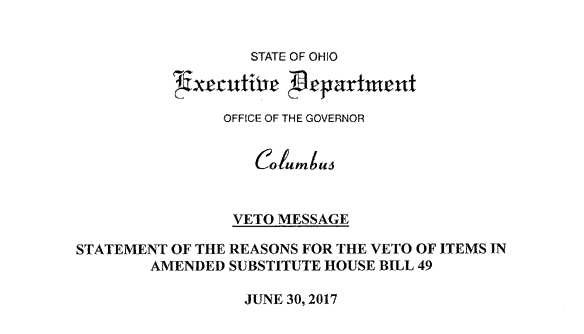 Governor Kasich used his line item veto power to remove 46 items from HB 49. Two, are very impactful to Healthcare and Behavioral Healthcare. These sections are from the complete document available above. First, is veto line item 29. This pertains to the requested freeze of Medicaid Expansion. This provision would require the Director of Medicaid to seek a federal waiver to allow the department to prohibit virtually every Ohian age 19 through 64 with an income at or below 138 percent of the federal poverty level who is not already in enrolled in Medicaid, from enrolling in the program after July 1st, 2018. Starting in 2014, these Ohioans became eligible to receive health care coverage under the Medicaid expansion and, as a result, Ohioans have reported improved access to care, decreased costly emergency room use, better overall health status and improved opportunities to seek and continue employment. Further, this provision is in violation of federal law, which prohibits states from denying coverage to members of an otherwise eligible group. Thus provision would eliminate any chance of these improvements continuing on a going forward basis–to the detriment of the state’s economy in general and needy Ohioans, in particular. Therefore, this veto is in the public interest. The second veto is line item 31. 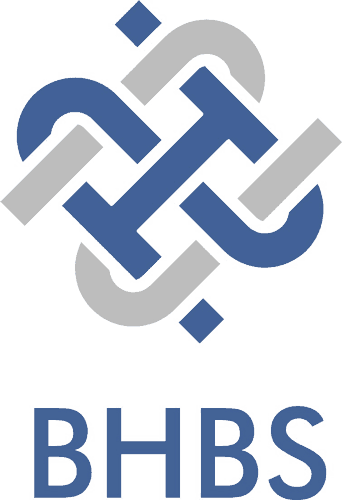 This provision would require the Ohio Department of Medicaid to delay the addition of behavioral health services into managed care until July 1st, 2018. The department’s Behavioral Health Redesign is intended to provide high intensity services for those most in need and ensure for the first time, the individual’s mental and physical health needs are managed together, and not with disregard to, one another. This coordination is necessary to get the right services at the right time to the Ohioans who need them most. The Administration, providers, Medicaid managed care plans and county boards have been working on the development of the behavioral health benefit package since early 2014. While the Administration supports a delay in coding changes to January 1, 2018, the care coordination delays mandated by this provision will impose new costs on Ohio taxpayers and private sector providers who have invested in preparing for the anticipated effective date. More significantly, the delay will be detrimental to individuals who would benefit the most from receiving coordinated behavioral health services. Therefore, this veto is in the public interest. In addition, there will be a rally at the Statehouse, Wednesday, July 5th to keep the House and Senate from overriding the veto’s by Kasich. Stay tuned, I’m sure it’s not over yet. Have a safe and happy 4th!